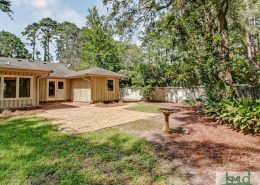 This wonderfully appointed custom home at 2 Shaftesbury Lane is located within The Landings on Skidaway Island, a private golf and waterfront community. It features an open floor plan ideal for entertaining complete with large wet bars and comfortable conversation areas. The club amenities consist of six championship 18-hole golf courses, 34 tennis courts, five pools (two indoor), four dining clubhouses and an impressive fitness and wellness center with spa services. All golf courses are covered under one membership and all are just a golf cart ride away. Send me more about this home in The Landings! The Landings on Skidaway Island is a community of custom homes reflecting personal expression through a wide variety of architectural styles. Uunity is ensured by The Landings Architectural Review process. Homes at The Landings range in price from $250,000 to more than $2 million. This new-construction home at 48 Monastery Road features over 4,000 sf of luxury living space on a nearly half-acre lot that overlooks the golf course. The Landings on Skidaway Island is a vibrant, premier golf and waterfront community located less than 10 miles south of historic Savannah, Georgia. The community is run by its debt-free homeowners association and has been for more than 15 years. Send me more about this home in The Landings! 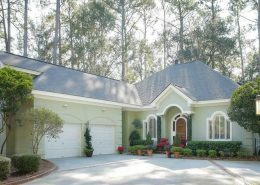 This Lowcountry-style home with Craftsman design accents is set at 2 Whimbrel Court, and offers prime views of hole No. 1 on the Palmetto golf course. Delegal Creek Marina offers kayak storage and rental and the kayak club meets regularly. Send me more about this home in The Landings! This 5,048-sf custom-built estate home at 4 Crape Myrtle Court enjoys prime vistas in Deer Creek, including excellent views of the golf and marsh from second-floor balconies. The Landings on Skidaway Island is a community of custom homes reflecting personal expression through a wide variety of architectural styles, while unity is ensured by The Landings Architectural Review process. Homes range in price from $250,000 to more than $2 million. Lots range from patio to full-size and estate lots, offering golf, lagoon, river, wooded and marsh views. Lots range in price from $70,000 to $400,000. Send me more about this home in The Landings! This appealing home at 3 Fat Friars Retreat sits on an oversize lot. 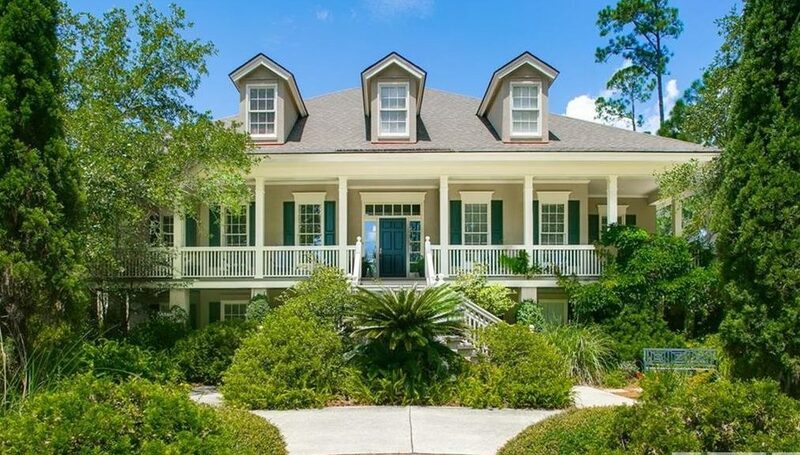 It is wonderfully located within the luxury community of the The Landings on Skidaway Island and offers panoramic views of marsh, water and fairways. This traditional ranch-style home at 9 Monastery Road West has a back yard that is fenced in and very private. The residence is located in an X flood zone and does not require flood insurance. The community is run by its debt-free homeowners association. The Urban Land Institute named The Landings “one of the nation’s best residential communities.” Send me more about this home in The Landings! Resident facilities include two deep-water marinas, 40 miles of walking and biking trails, playgrounds, library, Skidaway Farms (a community garden), dog park, nature trail and more. The club amenities consist of six championship 18-hole golf courses, 34 tennis courts, five pools (two indoor), four dining clubhouses and an impressive fitness and wellness center with spa services. All golf courses are covered under one membership. Send me more about this home in The Landings! Homes range in price from $250,000 to more than $2 million. Lots range from patio to full-size and estate lots, offering golf, lagoon, river, wooded and marsh views, and range in price from $70,000 to $400,000. Send me more about this home in The Landings!